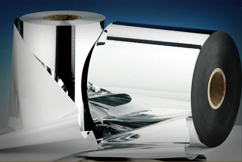 There is an ever increasing demand of plastics for the Electrical & Electronic industry. They are expected to be dimensionally stable, hydrolysis resistant, weather resistant or have high impact performance and at the same time often be flame retardant. Ester Industries Ltd offers a wide range of Engineering Plastic compounds for a variety of applications in the E&E industry. With our broad product portfolio (including many specialty compounds), we offer product solutions to our customers, OEMs and consumers. We also offer various types of flame retardant grades (Halogen free, Halogen and Phosphorous free, Red phosphorous based etc) with UL yellow cards to this industry.